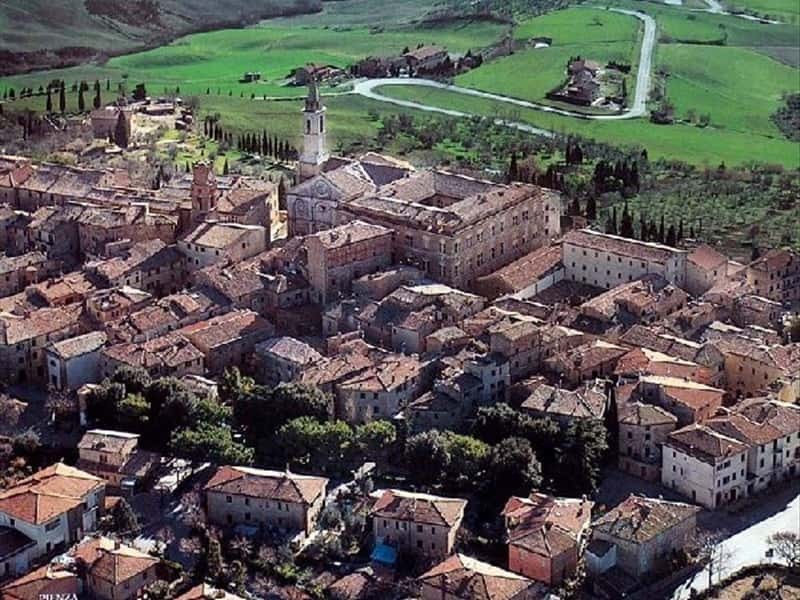 Pienza is a little treasure of Renaissance architecture in the province of Siena. Its history is strictly linked to Enea Silvio Piccolomini, who later became Pope Pius II. During the Middle Age it was known as Corsignano, a fortress of the city of Siena, also mentioned by Giovanni Boccaccio in his novels. In the period between 1459 and 1462 the Florentine architect Bernardo Rossellino transformed the historic centre of Corsignano in one of the most beautiful Renaissance town, fantastic example of the XV century architecture and town planning. It was declared by UNESCO "World Heritage Site" in 1996. The Cathedral, dedicated to Our Lady, was realized by Rossellino in 1459, on the ruins of an ancient Romanesque Paish Church. The Church of St. Francis is dated back to the XIII century: it is one of the oldest Fanciscan buildings in Italy and it is also the most important monument of Corsignano. The Parish Church of Corsignano, dated back to the XI century, with a beautiful cylindrical bell-tower, is the place where Pope Pius II was baptized. This town web page has been visited 95,361 times.